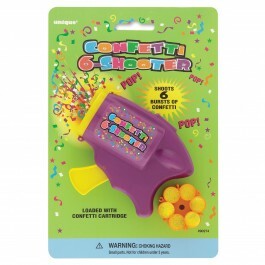 Your celebrations wouldn’t be complete without our party poppers! We have both confetti based party poppers as well as the ones that release streamers. They are indispensable for any party, whether it’s your child’s birthday, your baby shower, or someone’s wedding or anniversary. These inexpensive party accessories are sure to get your guests into the party mood. We have refill packs as well. Also browse our extensive collection of kids’ birthday supplies that we are offering at discounted prices in India.